Having already won their previous encounter at Jaipur, the Shers will now look to do the double over RR. Kings XI Punjab welcome Rajasthan Royals to Mohali’s IS Bindra Stadium on Tuesday with both sides needing a win to stay in touching distance of the top four spots. While KXIP come into this game off the back of two consecutive defeats, Rajasthan Royals head north having recently won their first ever away game of the 2019 VIVO Indian Premier League season. Therefore, Tuesday’s clash will be crucial for both sides as they try to build some momentum with the competition at its midpoint stage. The visitors may hold the upper hand when it comes to the head-to-head record, but it was Kings XI Punjab who won a thrilling contest when the two sides locked horns at Jaipur’s Sawai Mansingh Stadium. Also, barring the slip up against the Royal Challengers Bangalore in their game on Saturday, KXIP have had a stellar recent record at Mohali, having won seven off their last eight home games. For the hosts, opening batsman KL Rahul has been in scintillating form this season, having scored three fifties and a century after just eight games of the IPL. The 26-year-old is also currently second on the list for the Orange Cap for the 2019 season, just 65 runs behind leader David Warner. However, the visitors Rajasthan Royals have a lethal opener in their arsenal as well with Jos Buttler picking up form at just the right time. Fresh off a match winning 89 against Mumbai Indians, the Englishman will now look to settle old scores when the Royals travel to Mohali. Indian seamer Mohammed Shami has been KXIP’s talisman this season when it comes to the bowling department. Apart from his ability to consistently bowl yorkers at the death overs, Shami has also regularly picked wickets in crunch situations to bail out the Shers. For Rajasthan Royals, leg spinner Shreyas Gopal has been their star performer with the ball. He bowled beautifully in the game against RCB, delivering figures of 3/12 to help his side win their first win of the 2019 season. With the 2019 VIVO IPL reaching its midway stage, both teams would be eyeing a victory to stay in firm control of those top four slots. For the Shers, winning against RR would help build crucial momentum before they head on the road for three consecutive away games. For the Royals, they would be keen to get their season back on track after a dismal start to their campaign. A win at Mumbai’s Wankhede Stadium after a bad start has helped quell the worries for Rajasthan; and they would now be targeting a second straight win on the road to bolster their quest for the top four. KXIP openers KL Rahul and Chris Gayle have scored three fifties each so far in the 2019 IPL season. The Shers have won three out of their four home games thus far. Kings XI Punjab are the only team to have player score a century as well as pick a hat-trick this season. KL Rahul, Chris Gayle, Mayank Agarwal, Karun Nair, Nicholas Pooran (wk), Mandeep Singh, Sam Curran, Ravichandran Ashwin (c), Mohammed Shami, Murugan Ashwin, Mujeeb Ur Rahman. 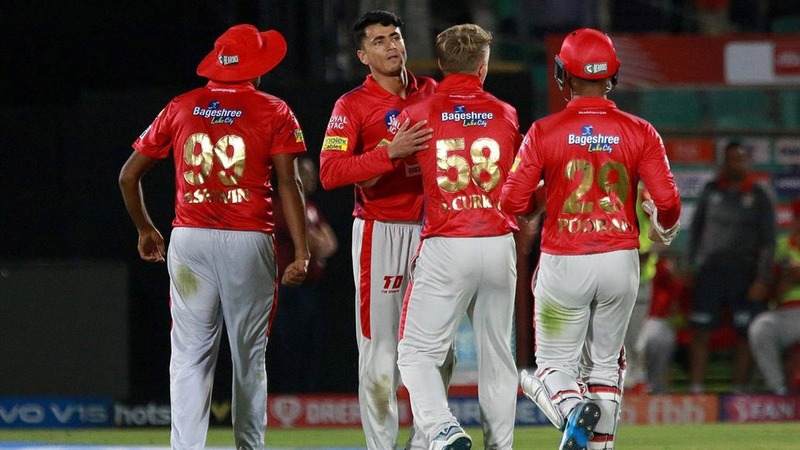 The batting order for Kings XI is unlikely to undergo any major changes, with Sarfaraz Khan probably being the only one to make way for Karun Nair so as to provide some stability to the middle-order. With respect to the bowlers, Andrew Tye wasn’t quite effective in the game against RCB and might get benched to accommodate Mujeeb Ur Rahman. NOTE: The aforementioned line-up is an educated guess at best, and the final decision rests with the captain and the team management depending on various external factors.